Knockvologan Studies is a place for a wide range of people with various backgrounds, dreams and intentions. When we moved to Knockvologan in 2016 we imagined building a creative study hub in close contact with the land. We wanted to share this place with people and get them involved in constructive and creative ways. For us every visitor, whether they wear a tourist hat or carry a microscope in their backpack, has something different and valuable to offer. There are many ways to get involved in Knockvologan Studies and the area. You can sign up for one of the workshops or visit any of our events. Have a look on the agenda on the homepage or click on the Workshops & Events for detailed information. You can become part of the wild nature of ‘the Ross’ of Mull by booking two nights or more and use our Observatory for an off-grid experience. 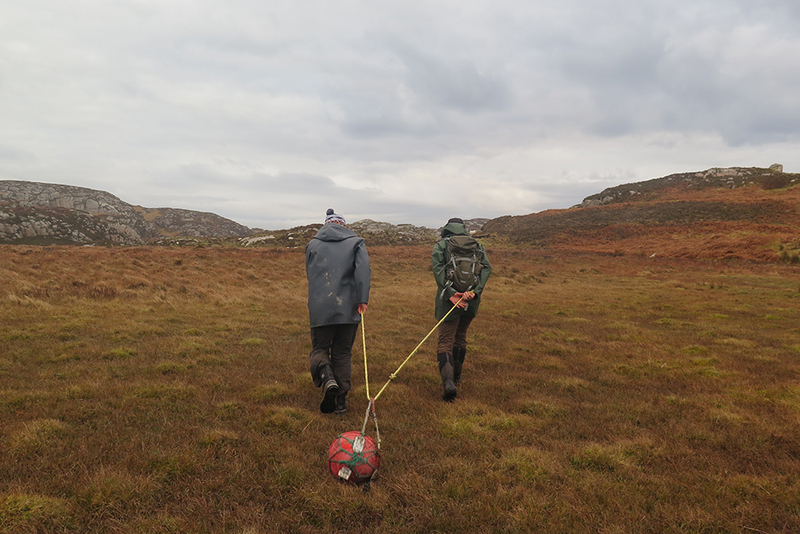 You can book an extended period of time for a retreat or research period (art, literature, scientific field work) and immerse yourself in all the aspects of the land. Send us a proposal for something you wish to do or develop. If it fits we will invite you for a collaboration. If you want to get involved with a specific project or if you are interested in volunteering, there is always plenty of work to do. Building, gardening, preservation work or anything else that may contribute to Knockvologan Studies and the wider area. If you want to come to stay and work as a volunteer or do an internship with us, then send us a message and we can talk about the possibilities. A combination of volunteering and holidays is possible too. Just write to us if you have a proposal or a question. We have art works and products for sale in our store. 100% of the money we raise will be re-invested in the development of Knockvologan Studies, our projects and the area. If you share our vision and wish to support us with our quest to increase the bio- and cultural diversity of the Knockvologan and Tireragan area, then consider sending us a donation. Please contact us about this because we will want to give you something in return.